The Murder Room is a mystery with a twist. A fabulous farce concerning newly-weds Edgar and Mavis Hollister. Two days after their wedding Edgar discovers that Mavis - a nasty piece of work - is being unfaithful. After her first attempt to kill him by poisoning his cocoa when the cat dies instead, Mavis resorts to shooting him and then returning to her lover. Chaos and complications reign when it transpires that the shots were blanks and that Edgar's body has vanished! There are secret chambers, secret panels and trap doors galore. They're all operated by the most ridiculous contrivances and gloriously mucked up. "Murder has never been this funny. A spoof of all crime thrillers... it is good clean mirth all the way. The quick, smart, extremely well timed dialogue of Jack Sharkey comes through loud and clear. There is never a dull moment." “It has been a real romp working with my talented cast. 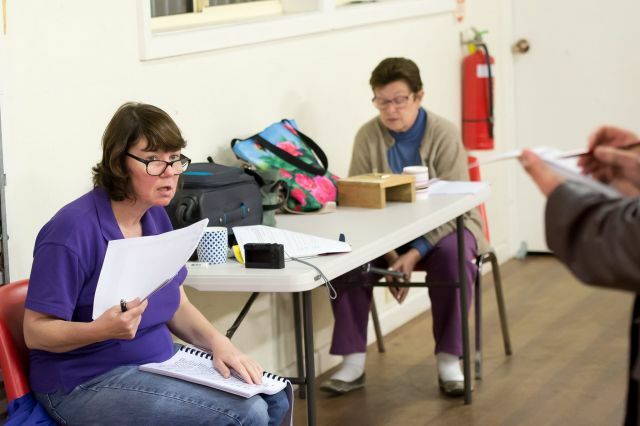 Rehearsals seem to fly by so quickly I am very collaborative in my approach, I like to see what performers can bring to the table” Margaret said. “You have to find what works well for the actor as well as the play. I don’t believe you can be too dogmatic. Margaret is equally at home on stage performing. 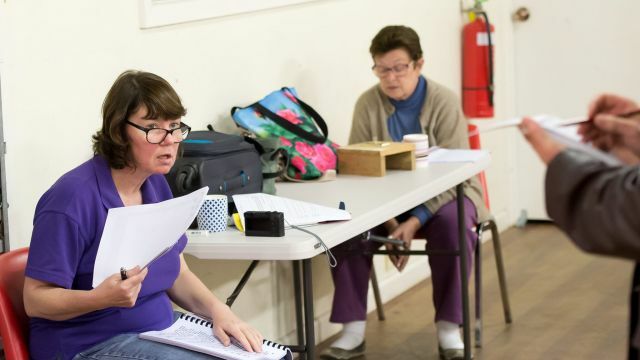 She has just completed a season of Calendar Girls and has appeared in productions of Steel Magnolias, Pride & Prejudice and Cosi to name a few.